Scoil na gCláirseach - 2008 photos. Back row: Jim Johnston, Eimear O Hea, Astrid Adler, Vincent Wilkin, Vicente La Camera, Mario Giardini, Jane Sullivan, Karen Loomis. 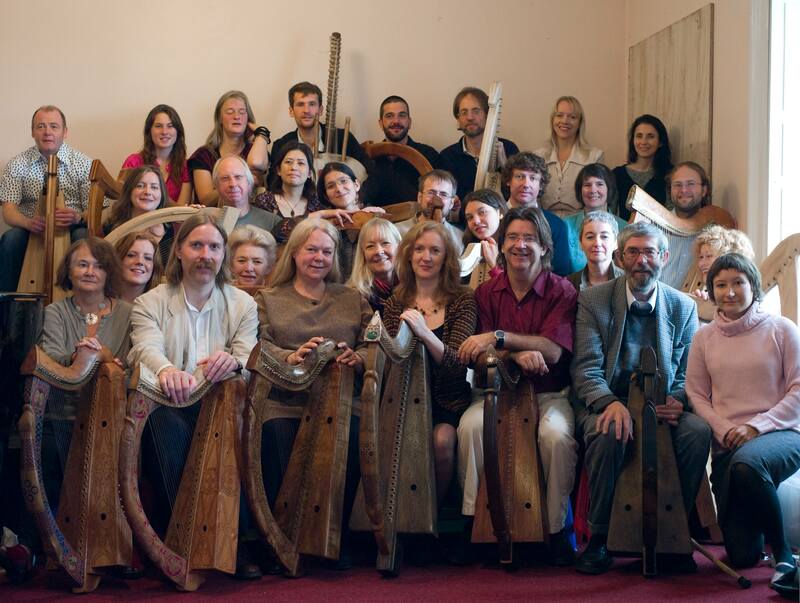 2nd row: Sylvia Crawford, Neil Hudson, Mari Takahama, Barbara Karlik, Paul Best, Brendan Ring, Maura Uí Chróinín, Dimitri Boekhoorn. 3rd row: Orla Fitzgerald, Claire Dunne, Colleen Politi, Celestine Doedens, Donna MacDonnell, Brenda Malloy. Not present: Tricia Cosford, Cathleen Loughnane, Eibhlin Ní Hír, Siobhán Hall.